Brad's music is a direct link to the traditions of the southern Appalachian and Ozark mountains. He grew up hearing the old-time music of his father, grandfather, and great-uncle, and learned from many of the last great traditional musicians from the turn of the 20th century. A well-known fiddler, banjo player, and singer, Brad has been performing and teaching traditional music for some 30 years. Recordings of his music appear on the County, Copper Creek, Rounder, and Marimac labels, and he has published instructional materials with Homespun and Mel Bay. 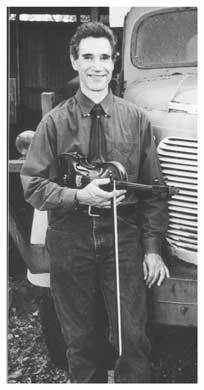 Brad has won the fiddle contest at the prestigious Appalachian String Band Music Festival in Clifftop, West Virginia, and his fiddling has been acclaimed by critics in magazines as diverse as Billboard and Bluegrass Unlimited. He tours internationally and has performed at venues from Merlefest to the White House. These days Brad performs with the Hogwire Stringband (including his wife and longtime musical partner Linda Higginbotham on banjo, Sam Bartlett on guitar, and Abby Ladin on bass), and also with Tom Sauber and Alice Gerrard in the trio Tom, Brad & Alice. His music will be appreciated by legions of aspiring fiddlers for years to come. 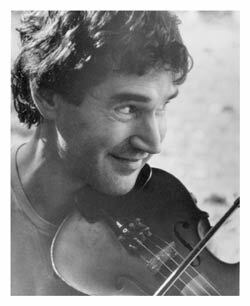 I consider him one of the greatest fiddlers of his generation. Brad Leftwich represents the best of the new breed of old-time fiddlers. Brad is certainly one of the most remarkable fiddlers of his generation. More than any other young musicians I have heard, Leftwich & Higginbotham capture the subtlety and excitement of an authentic traditional style. New Brad Leftwich Signature Strings from Kel Kroydon!